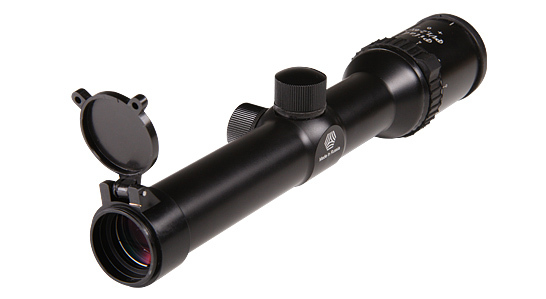 Rifle scope with variable magnification ensures hunting animals at bay. When tossing your gun up and shooting at a short distance or at a moving target the minimum magnification 1,2 is enough. The magnification can be increased up to 6 to provide more accurate shooting. In terms of convenience it may be compared with collimators, at the same time all advantages of scopes with big magnification are preserved. Gradual magnification change allows to stop at any intermediate level.